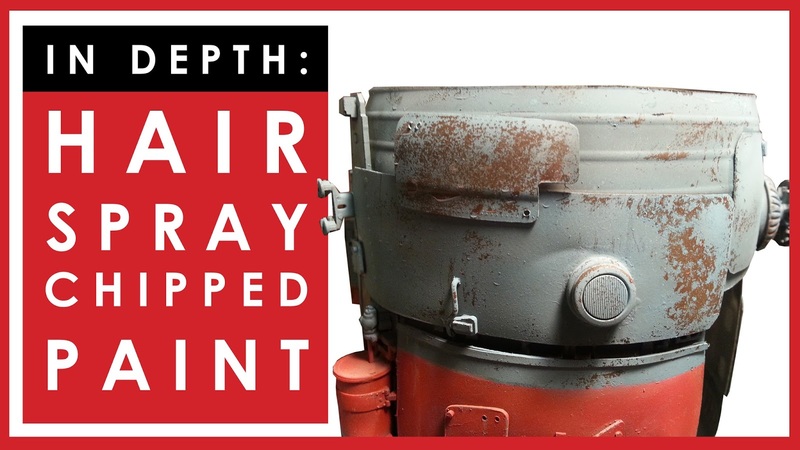 Back in December 2016 I produced a video demonstrating the hairspray technique for chipping paint on scale models. That was fine for then, but I have tweaked my hairspray technique since then, and I thought it was time for a revisit. So I have produced a new video on the hairspray technique. It's a more in-depth view, with a slightly more finessed technique that gives better results. The main difference is that I find thinner layers of both hairspray and also topcoat paint gives a much, much better result. It becomes a lot more controllable, and it also avoids those massive chunks where a big section of topcoat sloughs off all at once. So check it out. You may think you know how to do this technique, but this hopefully gives you a little more insight on it. Painting and weathering: in depth hairspray chipping tutorial.